Not long ago I had the distinct pleasure to review a surprisingly accomplished Yamaha integrated, the S-801. For its non-audiophile ~$1'000 Canadian tag, performance was so high as to be a sobering reality slap at normal High End pricing conventions. Now I'm reviewing a bold new Yamaha loudspeaker that could shake up the audiophile community if enough people paid attention (a big if). The NX-N500 speaker is something of a technological Trojan horse. It looks petite and demure but sports some heavy-duty drivers, quality bi-amplification, a ridiculous level of network capability and a premium ESS Sabre DAC. On top of all that is some major software to access a vast digital musiverse. 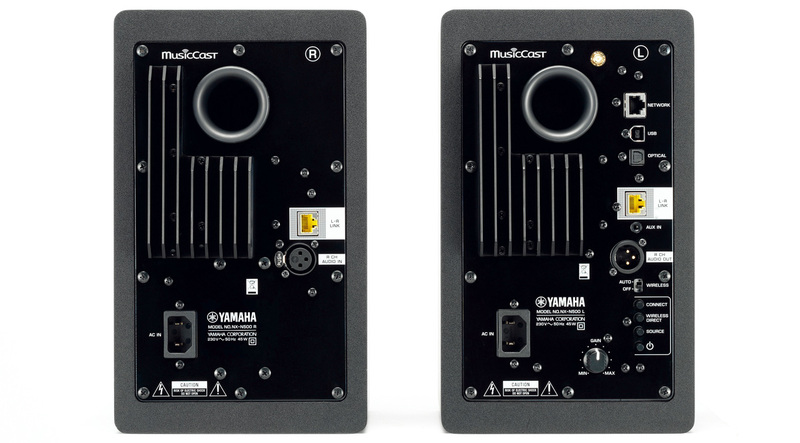 That makes these small mini monitors a near complete audio system. All an owner needs to add is a wireless or wired source to make music. 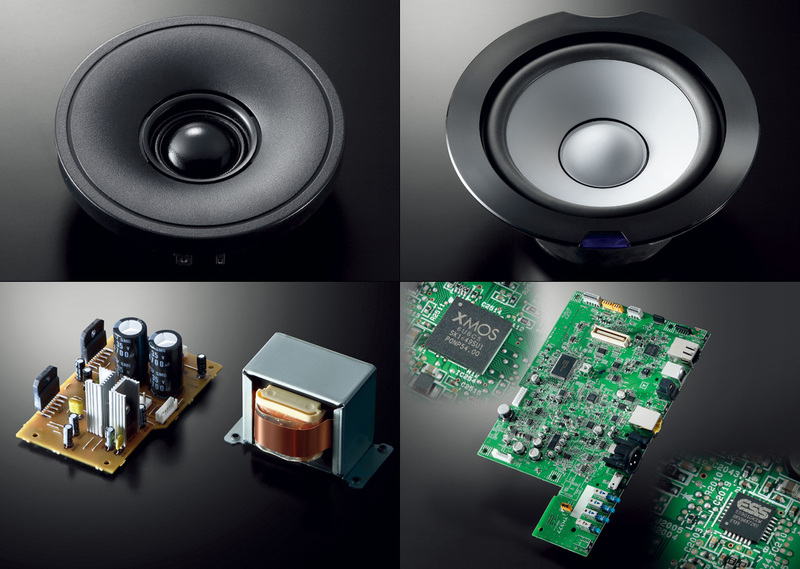 Think next-generation mini system with macro ability. Should I repeat that the asking price is $1099.95 the pair? Until recently any audiophile lusting after performance and lifestyle sophistication was forced to choose. But things have changed. Between the proliferation of new-wave Bluetooth speakers and the stodgy universe of heavyweight Hi-End, Yamaha have joined a third faction who believe that modern convenience and traditional musical performance can coexist. With the NX-N500 loudspeaker, Yamaha stand poised to give that middle camp a lightning rod product to prove that big things can come in small packages. The NX-N500 manages to squeeze a lot into a tiny space. Basic measurements are 170 x 285 x 222mm and 5.7/6.2kg for the right/left box respectively. Those with a studio background will spot some HS-5 lineage but the distributor categorically stated that these are not the same. The driver complement is different as is the musical presentation. The HS series is designed as a working tool whereas the NX-N500 is a bit more forgiving and designed specifically for home listening enjoyment. 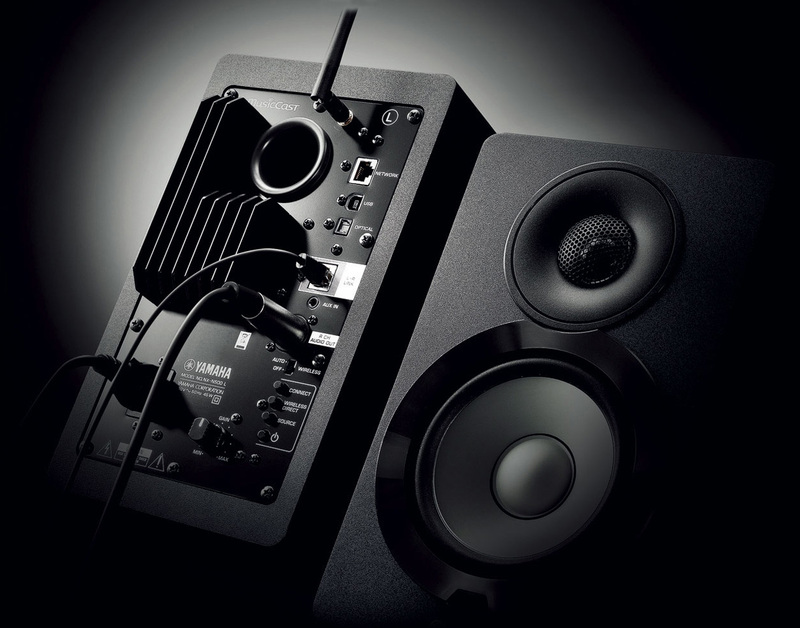 If Yamaha incorporated a lot of traditional hardware into this speaker, they have also endowed it with an abundance of signal access. Whether wired or wireless, you would be hard pressed to feel left out. With the exception of full-size RCA, all bases are covered. Analog input is on 3.5mm stereo and traditional hard digital connections go for the gold standard, optical up to 24/192, USB up to 32/384 plus DSD 5.6 at native resolution. There is a network input for those who prefer the reliability of a wired connection with full format support to the uppermost playback numbers. MAC OS integer mode allows DSD and 32/384 file compatibility. Windows' lack of USB 2 support makes access more cumbersome but Yamaha supply instructions and an ASIO driver to get you there. Even easier, Linux systems appear to require no driver. 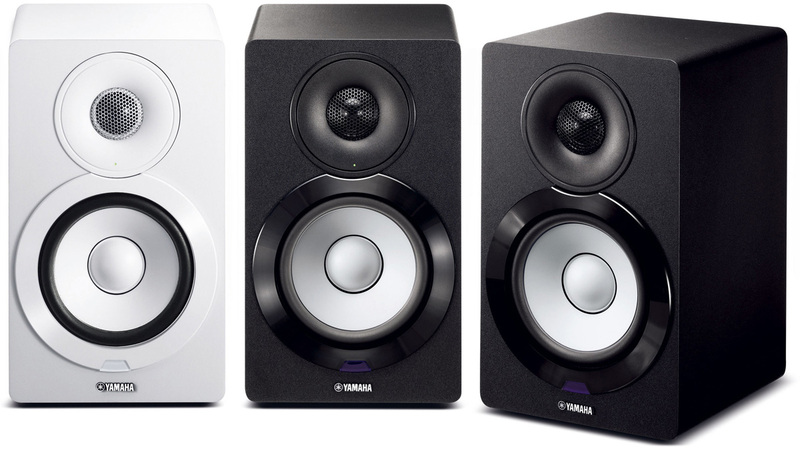 This core ability covers legacy ground with state-of-the-art resolution potential but Yamaha packed more tomorrow features into this little powerhouse to expand your musical horizon in wireless fashion. Any storage device containing musical content can be accessed and wirelessly streamed at best theoretical limits, be it Mac, PC, NAS or phone. Any audiophile pursuing the latest resolution formats has an open window of possibilities. Welcome to Yamaha's vision of the future. Music lovers come in all pocketbook ranges and possess catalogs of playback material generally hovering in the Redbook range, be it on FLAC, ALAC, WAV or MP3. Yamaha embrace the gamut and made a strong effort to wring best performance from all options. In the past, audiophiles would have turned to wired connections but the current generation grew up with wireless expectations. Yamaha took on that challenge with comprehensive measures. Network WiFi will accommodate the majority of material but portable devices too get the full treatment. There's Apple Airplay and those employing Bluetooth will find advantages in the latest 2.1 + EDR specs. There is no snobbery, no second class source. There is only solid engineering to pave the way for first-class presentation.